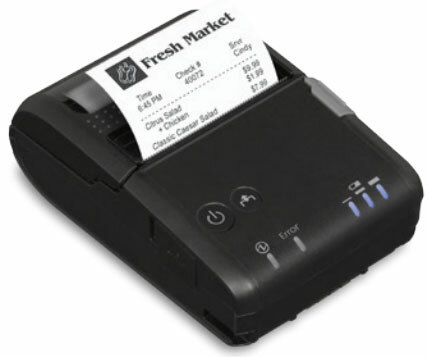 Ultra-compact Design: With a size of 3.1″ x 4.7″ x 1.7″ (W x D x H) and a weight of only 0.5 lbs, the printer fits in your palm and features a 6.5′ drop rating, and is IP54 ready with padded case for use in harsh environments. Fastest Print Speed in its Class: Up to 100 mm/second, which translates to printing a 3.93-inch long receipt in just one second. Best-in-Class Operational Battery Life for Ultra-compact Printers: Up to 8 hours with Bluetooth and up to 6 hours with WiFi models for uninterrupted service to your customers*. Multiple Connectivity Options: Supports 802.11a/b/g/n with 2.4GHz/5GHz compatibility and Bluetooth® 3.0 (EDR supported). Printer Utility App: The Utility App allows the Mobilink P20 to connect easily to your custom POS applications, enables automatic configuration for initial WiFi setting, and comes with fast NFC pairing technology. Developer Support: Regardless of the operating system, Epson’s unique ePOS-Print technology allows OS agnostic printing from virtually any device, along with robust SDK and legacy driver support. For more information or assistance finding the right Epson printer for your needs, contact us at BarcodesInc.